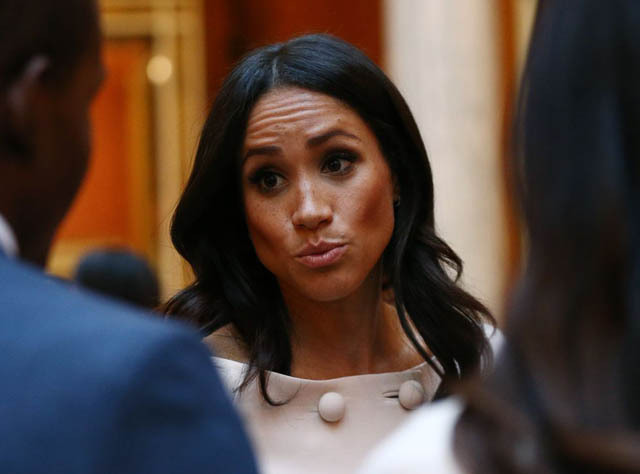 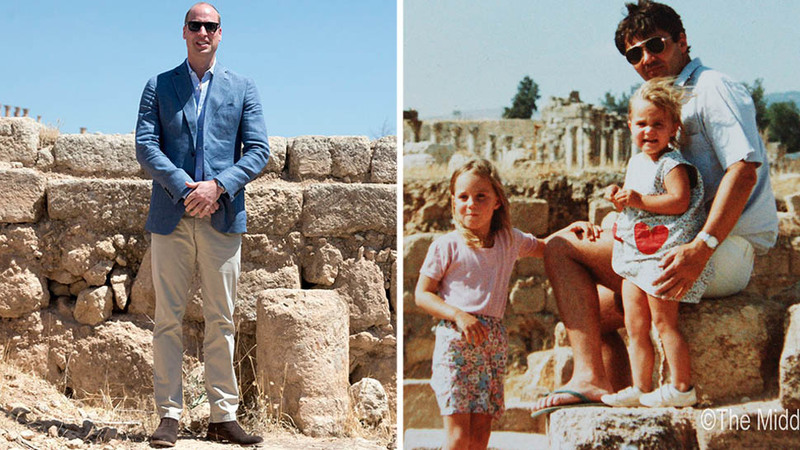 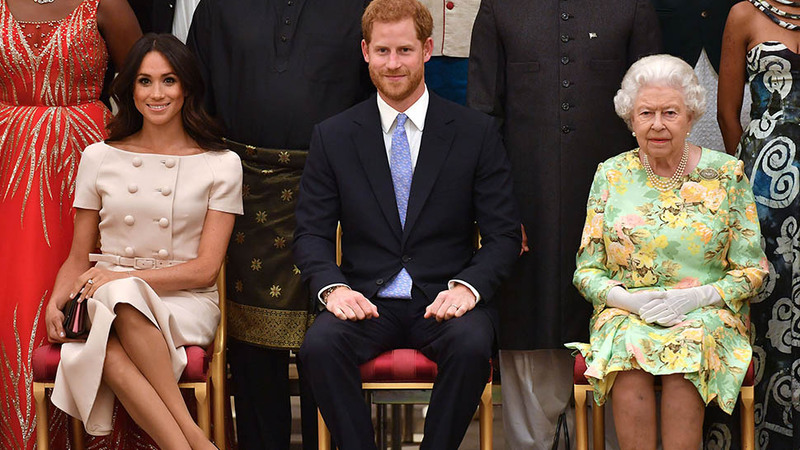 Prince Harry and Meghan Markle celebrated the recipients with Queen Elizabeth. 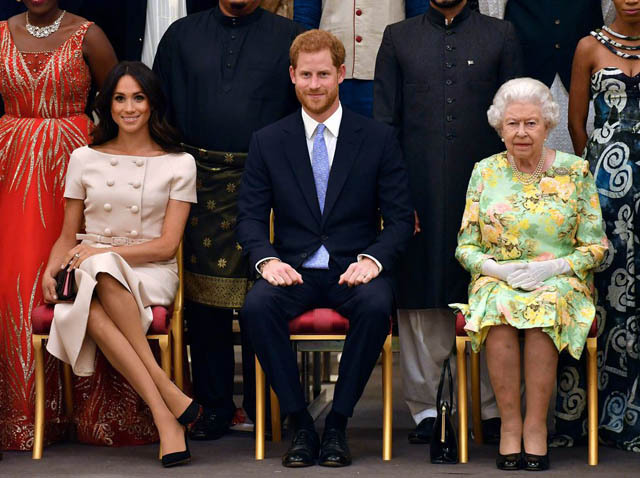 Prince Harry and Meghan Markle joined the Queen at Buckingham Palace for a reception honoring the Queen's Young Leaders, an award which "discovers, celebrates, and supports exceptional young people from across the commonwealth." 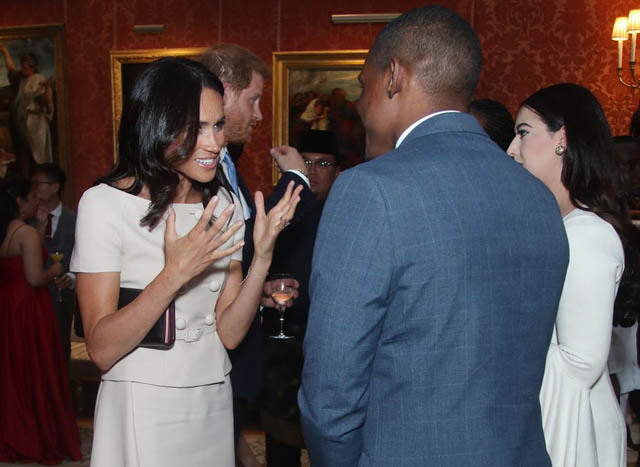 See all the photos from the event below. 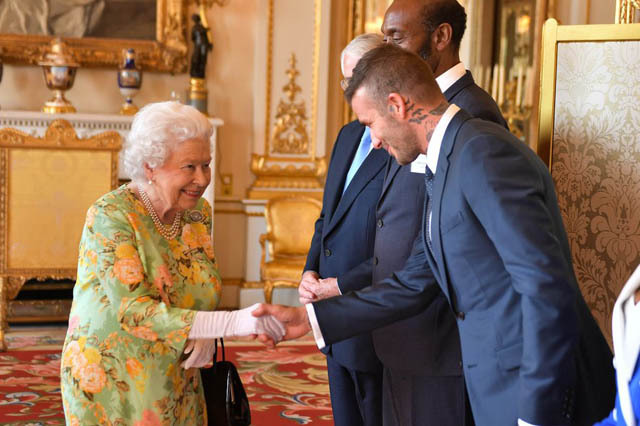 The Queen shaking hands with David Beckham at Buckingham Palace before the Queen's Young Leaders Awards Ceremony. 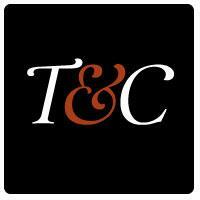 This will be the fourth and final year of the awards. 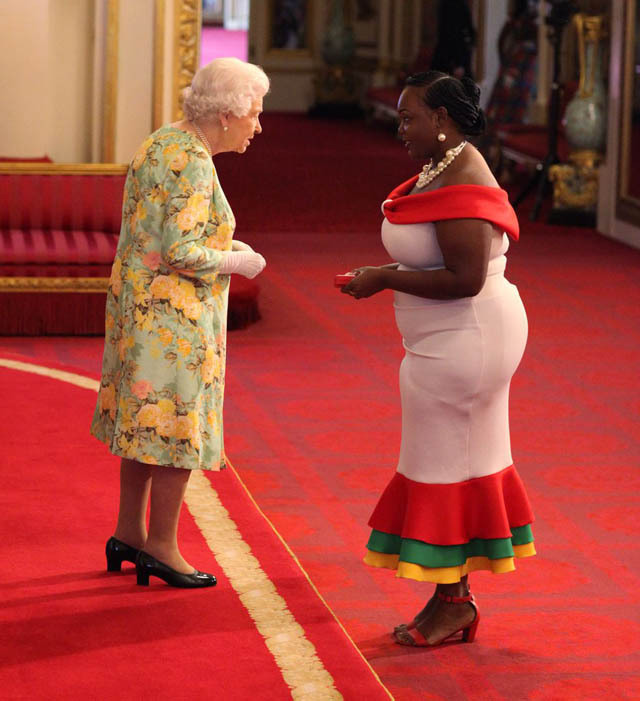 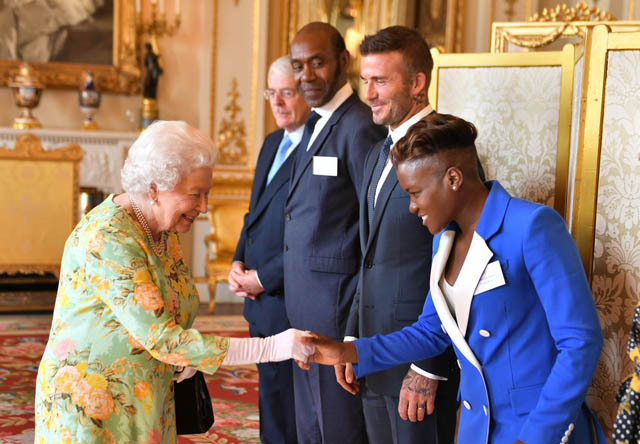 Here is the Queen with Nicola Adams, a British professional boxer and the first woman to win an Olympic boxing medal. 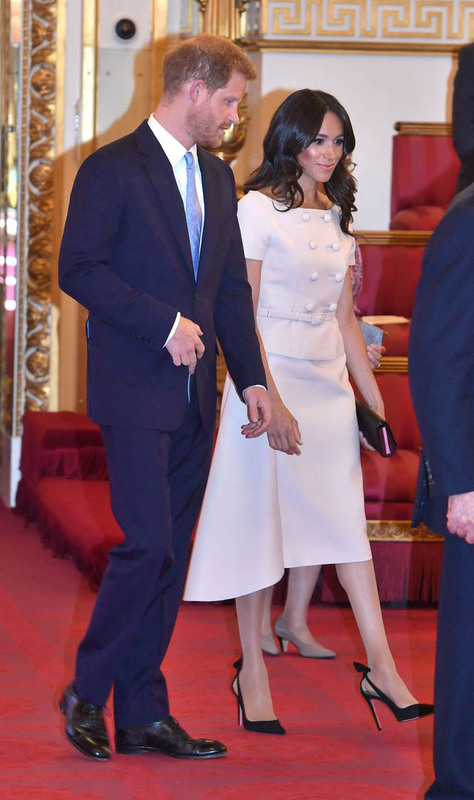 Meghan and Harry walking into the event. 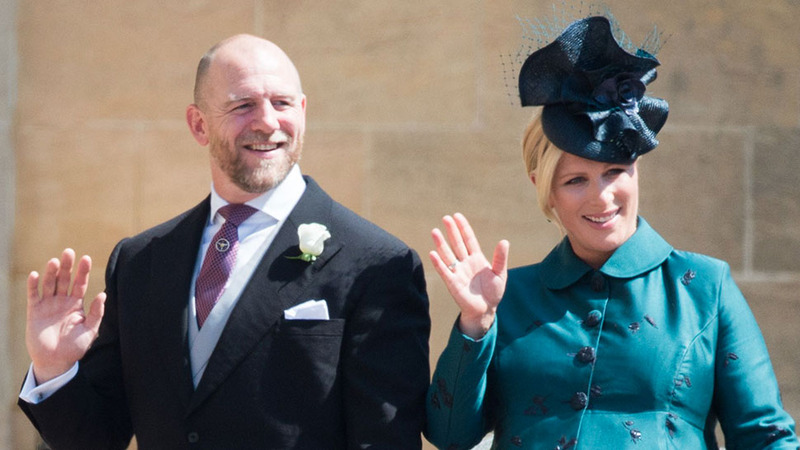 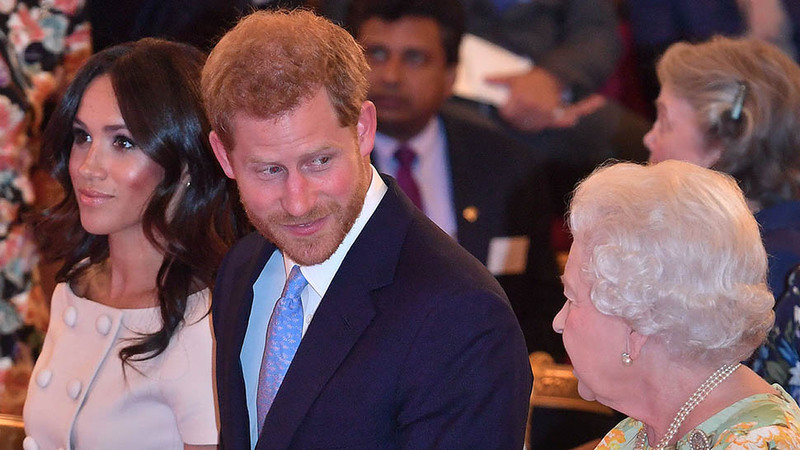 Get all the details on Meghan's gorgeous Prada dress right here. 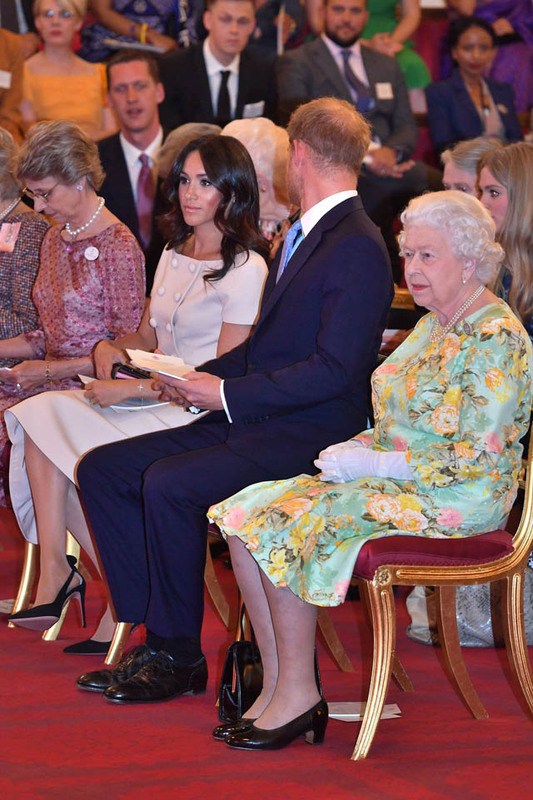 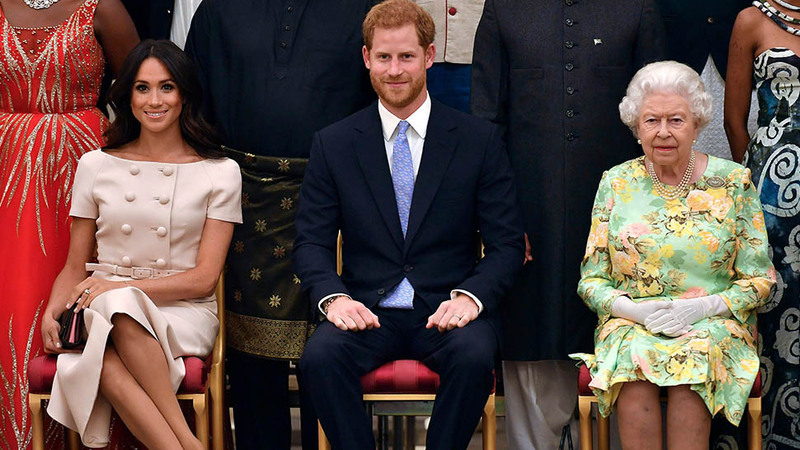 Meghan, Harry, and the Queen seated at the event. 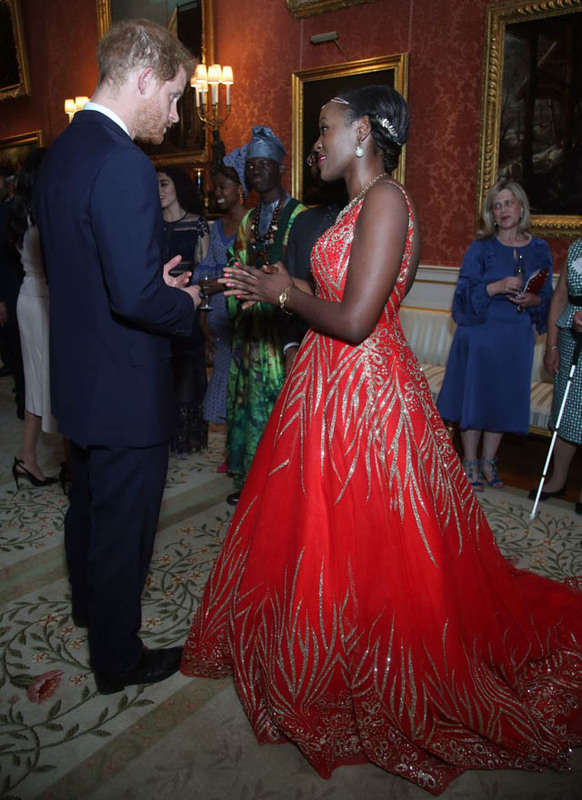 Harry having a chat with his grandmother before the reception starts. 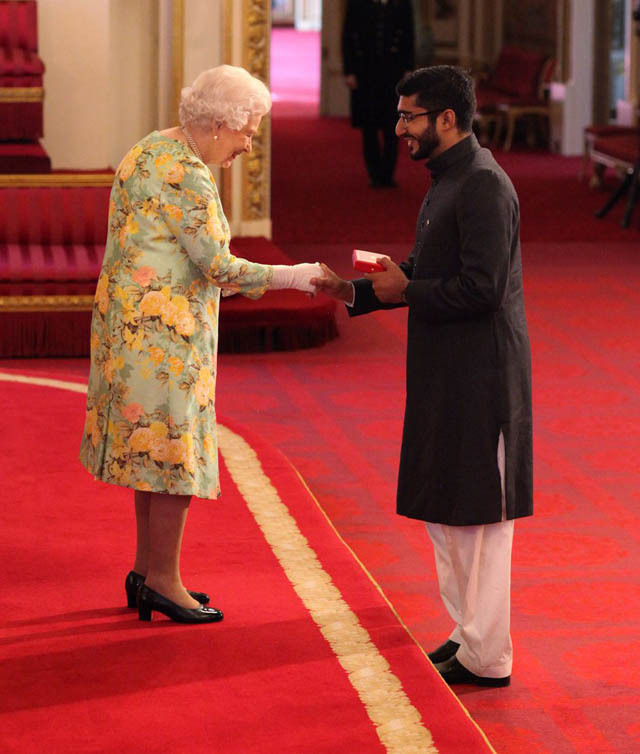 Waiting for the awards presentation to begin. 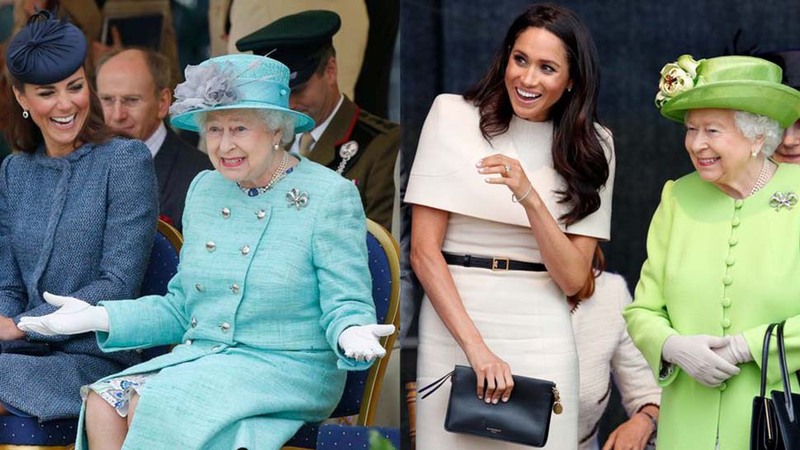 A closer look at Meghan's beautiful outfit. 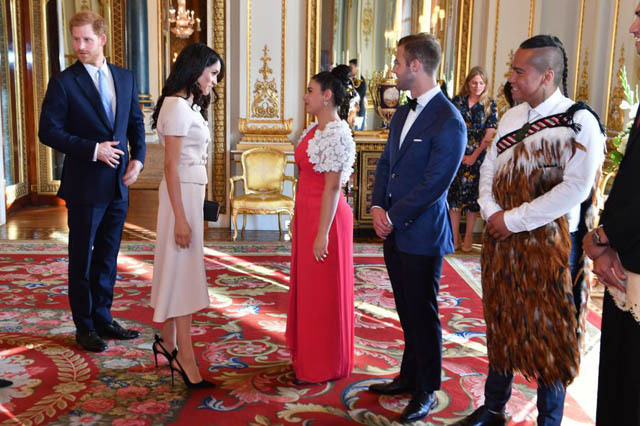 Meghan in conversation with some of the recipients at the leaders during the Queen's Young Leaders Awards Ceremony. 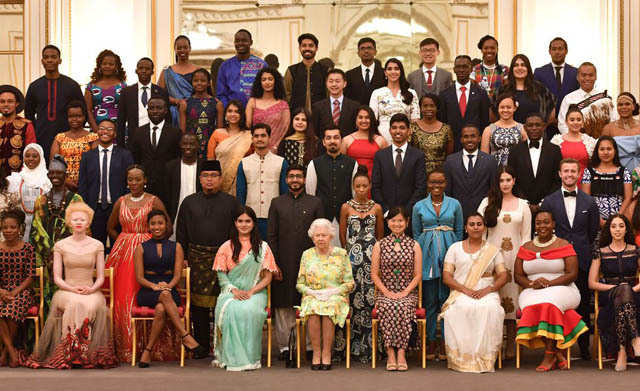 The Queen joins some of the Young Leaders for a photo. 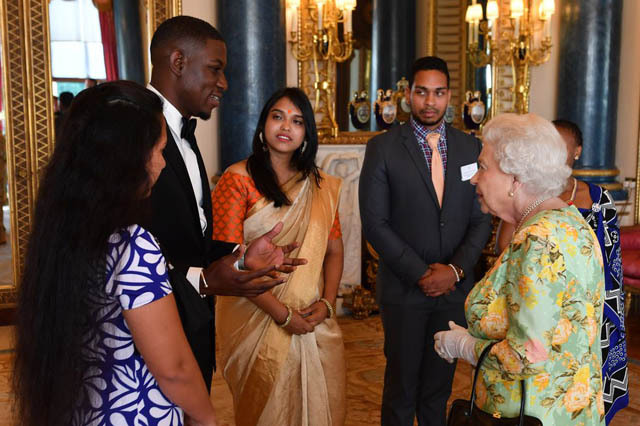 The Queen chatting with some of the award winners at Buckingham Palace. 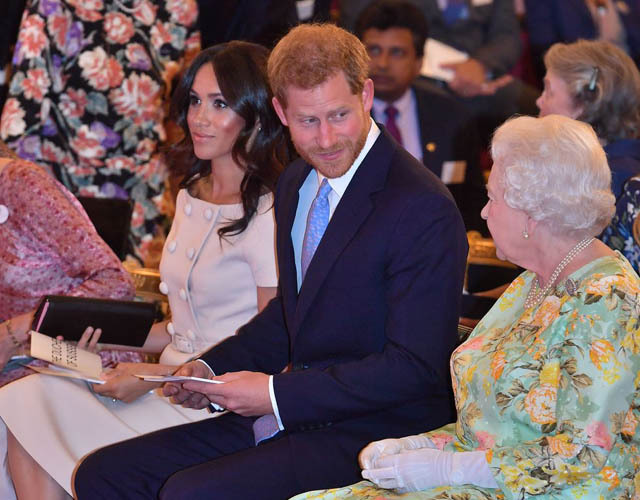 Meghan, the Duchess of Sussex and Prince Harry greet guests at the Queen's Young Leaders Awards Ceremony at Buckingham Palace.